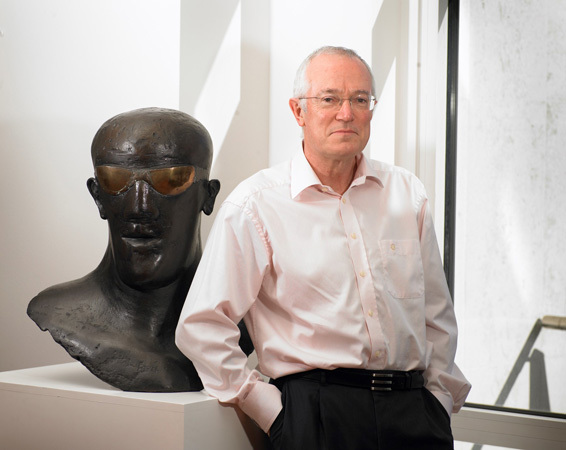 The Ingram Collection of Modern British and Contemporary Art is one of the UK's most significant collections of Modern British art, put together by philanthropist and media entrepreneur Chris Ingram. It contains 650 works of art, of which over 400 are by the most important artists of the Modern British era. Chris Ingram is passionate about making his collection accessible to all, and through an innovative and diverse loan programme, works from the collection can be seen in galleries and museums across the UK, enabling the public to see some of the finest examples of Modern British art. The collection’s main focus is on the art movements that developed in the early and middle decades of the twentieth century, with particularly strong groups of works by Dame Elisabeth Frink, Sir Eduardo Paolozzi, Geoffrey Clarke, Lynn Chadwick, William Roberts, Edward Burra, Keith Vaughan, John Tunnard, Kenneth Armitage, John Craxton, Richard Eurich and Dame Barbara Hepworth. If you would like to find out where particular works can be seen, discuss a potential collaboration, or view our current and forthcoming exhibitions and loans, please visit our website.